The IBL Blog features interviews and articles about IBL teaching and education. You can see the blog here! The student voices series of videos is focused on telling stories from the student's perspective. 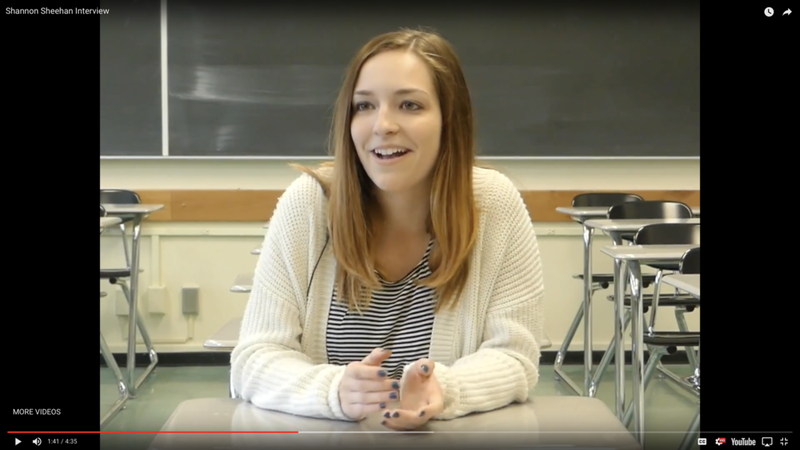 In this episode, Shannon Sheehan, an undergraduate at Cal Poly majoring in Liberal Studies (Elementary Education), who was in Professor Champney's IBL Calculus 1 class discusses how IBL helped her learn math better, contributed to her success in the course, and perhaps most importantly, how she plans to use IBL in her own teaching. Shannon will be an IBLer, not just in math, but in all subjects. Click the link to watch the video! One of the common issues new IBL instructors face is student buy-in. This is a real concern for all instructors. In this post, I outline the issue broadly, and then provide some tips for how to ensure that your students get with the program in their minds and in their hearts (Yoshinobu, 2012).